Mark Lawrenson is tipping Manchester United to beat Tottenham Hotspur on penalties after extra-time to reach the FA Cup final on Saturday. The Red Devils head into the game after having bounced back to winning ways in the Premier League on Wednesday night with a 2-0 victory at Bournemouth thanks to goals from Chris Smalling and Romelu Lukaku. Manchester United suffered a shock 1-0 loss to West Brom at Old Trafford last weekend in a result which confirmed Manchester City as the Premier League champions for this season. The Red Devils are now aiming to finish second in the Premier League as runners-up to City and also win the FA Cup. Tottenham are set to come up against the Red Devils at their temporary home on Saturday afternoon in the semi-final clash and former Liverpool FC star Lawrenson reckons that Manchester United are likely to edge the contest after extra-time. Writing in his column for BBC Sport, Lawrenson said: “Tottenham are at ‘home’ because they have played at Wembley but there will be a very different feel to this game – there will be as many United fans there as Spurs supporters for starters. “United have played that many times at Wembley in the past few years – four times in the past two years – that it will not hold any surprises for them. 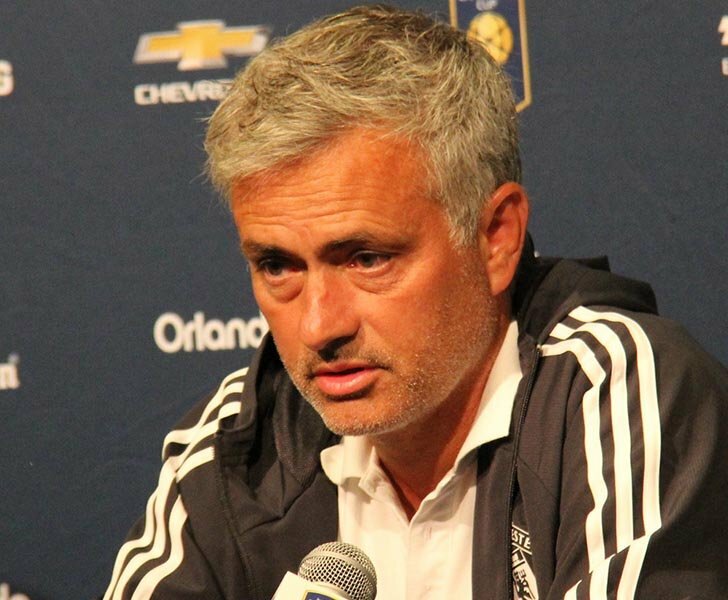 “It is a lot harder to predict what sort of performance we will see from Jose Mourinho’s side, however. “It was just nuts for them to lose at home to West Brom last weekend, after winning a crazy Manchester derby the week before that. “United followed that by beating Bournemouth comfortably on Wednesday, and that is kind of where they are at the moment – very up and down. “I don’t think this tie will be anything like United’s trip to Wembley in January, when they went a goal down after 11 seconds and lost 2-0. “I just don’t see it being a feast of football this time, and Mourinho will not want another open game. If Spurs score early again then of course that changes things, but he will keep things tight for as long as he can. Manchester United will be aiming to challenge for the Premier League title next season after having not won the trophy since Sir Alex Ferguson’s final campaign in charge at Old Trafford back in 2013. The Red Devils won both the Europa League and League Cup in Mourinho’s first campaign last term.